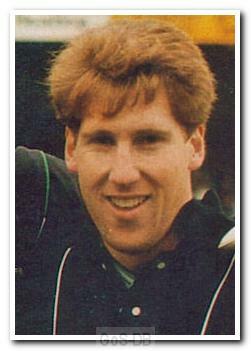 Campbell was a former West Ham United apprentice striker who signed for Argyle in November 1988 from Sparta Rotterdam. Son of one-time Chelsea Manager Bobby Campbell, Greg made 5 top-flight appearances for the Hammers but suffered a broken jaw against Watford in 1984, just as he was breaking into the first team. 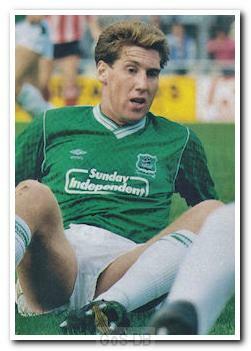 A loan spell with Brighton in 1986-87 saw Greg make two appearances before he left London for Holland. Returning to England, the Portsmouth-born forward joined Argyle in time to make his debut in a 6-2 defeat to his father's Chelsea side in a Simod Cup defeat at Stamford Bridge. This was followed with a goal on his Argyle league debut two weeks later at home to Oldham. Campbell went on to make 39 appearances for Argyle across two seasons, scoring six goals, with his last match against Blackburn Rovers in April 1990 at Ewood Park. He then joined Northampton Town where he made 47 appearances, scoring 7 goals before retiring from the professional game.